Thank you for visiting Tailored Living of Fox Valley and surrounding areas. We are eager to help you enjoy your home more than ever with a custom home organization storage solution designed for you. Frontier Craftsmen is a full service custom cabinet shop specializing in the design, construction, and installation of custom cabinetry and counter tops. We consult with our clients on all aspects of their project, advising them on wood species, cabinet styles, finishes and counter top materials and colors, as well as providing suggestions on flooring, tile, wall treatments, or any other aspect of the project All of our cabinets are built, finished and installed by our professional staff. Our knowledgeable staff is there for our customers from the very start, to help with choices and decisions, through the completion of the project, ensuring that the results are to the delight of our customer. Blue Hot Design has been assisting homeowners, architects and contractors with award-winning residential design for new construction and renovations since 2004. Each design is well thought-out, unique and delightful. The owner, Marianne Kohlmann, has a designer's eye and an artist's soul. Kowalske Kitchen & Bath is a full-service remodeling company. We specialize in kitchen, bathroom, basement and whole-house remodels. Whether you need a style change or improved functionality, we can help you envision, design and build the perfect space. Our in-house designers and veteran project managers work with you from the first glimmer of a concept through construction. We visit your home and ask questions to understand your design style, your lifestyle and budget. We guide and oversee the entire remodeling process, from pre-design through final construction. We create design renderings, order materials, schedule the work, prep your home, and manage the entire construction process. Our mission has always been to provide innovative design, excellent craftsmanship and exceptional customer service. It’s our job to make your project as enjoyable and effortless as possible! Schedule your free in-home consultation to start the process. 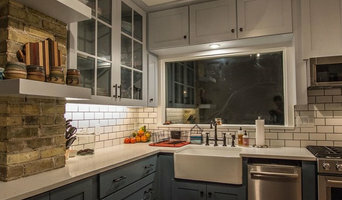 Story Hill Renovations, LLC are award-winning contractors with more than 12 years experience in home renovation and real estate restoration. We are insured, licensed craftsmen with great attention to detail and old-world craftsmanship. We are among only 10% of NARI members who are Certified NARI Professionals. We purchase quality products at a reasonable price and support local businesses as often as possible. At Story Hill we recognize that a home remodeling project often becomes a challenging process so we make the transition as seamless as possible. Our craftsmen are professional, courteous and there to work for you. Please contact us for a free consultation. 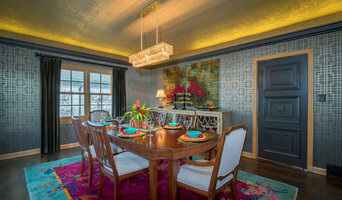 Jerrica Zaric Interior Design has an aesthetic that is described as an imaginative blend of modern and classical influences where elegant rooms are enlivened with a fresh mixture of pattern, color, and texture. Drawing inspiration from her travels, a background in sculpture and printmaking, and an active interest in the art world, Jerrica directs her team to create designs that thoughtfully balance her aesthetic vision with the lifestyle and needs of the Client. JZID is a small, Client-oriented firm, providing a bespoke turnkey approach to design services. As the principal, Jerrica is intimately involved in all critical aspects of the project, thereby ensuring optimal quality throughout the space planning, design creation, and installation phases. By hiring JZID, Clients have access to unique and wholesale trade sources on furniture, fabrics, wallcoverings, window treatments, and decor. Clients also benefit from JZID's network of trusted contractors and the company's experience in managing projects that range from small refreshes to large renovations and new construction. The firm works on residential and commercial projects in the Milwaukee metro area and across the country. Take a look at the Reviews section to see what JZID's Clients have to say about their experiences. Design/ Build Remodeling: Redefining space for the way you live. We listen closely to your desires and dreams for your home and design your plan to fit your lifestyle. Call us for a unique perspective on your home. *Authorized Woodharbor Cabinetry Dealer* DE Contracting strives to bring a customers vision to life. Attention to detail and high quality craftsmanship are very important to us, we treat every home as if it were our own. Making sure a customer feels that they have made the right choice when selecting their remodeling contractor, from the design to the finish. Tim and Nancy Rigsby are a husband and wife team with over 40 years of experience in renovations, historic renovations, remodeling and custom home building. As an architect, Nancy has a great sense of design and knack for the details while Tim executes the construction of each project. We want to be flexible and accommodating to our clients because it's important to be there for you when you need us. We're changing the relationship between homeowner and builder. We truly enjoy working with clients who have ideas of their own and are intimately involved in the entire process. We want to capture your ideas and combine them with our expertise to create a quality space that you, your family, and friends can enjoy for years to come. Our goal is to educate the owner on design, materials, costs and overall making the experience fun & enjoyable. Give us a call or send us a message so we can discuss your ideas further! 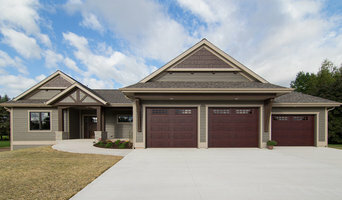 Matt Lehn Construction, LLC specializes in whole home remodeling, additions, new home construction, kitchen and bath, and custom cabinetry in our own shop, with superior craftsmanship and exceptional customer service. Founded by Matt Lehn in 2009, who was always taught to put quality first. Our team is 90% in-house and we take care to make sure your job is done right the first time. We offer design/build for all aspects of residential remodeling and additions, custom cabinetry from our in-house shop, and new construction. We provide 3D drawings of our projects allowing you to walk through your addition, kitchen or new house before we start the project. This helps you visualize exactly what your project will look like after its completed. We are a full service contractor so once you hire us we do all the work from acquiring state and local permits To cleaning up at completion. To ensure our customers get the highest level of quality our projects are completed by our experienced employees with little use of sub contractors ensuring only the highest level of customer satisfaction. Interior Motives wants to partner with you so that together we can make your home the one you have always dreamed of. Decorating your home’s interior has never been easier as we walk hand in hand through the process from start to finish. We will work together to select your style items, arrange your home, and take your project to a finalized look you are proud to call your own. Whether it is just one room or your entire home, Interior Motives will show you how easy and fun decorating your home interiors can be. We can handle any aspect of your decorating project. From start to finish, let us tap into your creativity by allowing us to guide you along. We can consult you on room layout and design, furniture selection and placement, paint and accessory selection with oversight on any component of your design project. Cabinets and cupboards are crucial organizational components of any kitchen or bathroom. Yet, for such an essential element, homeowners often compromise on their cabinetry, settling for cabinets that neither complement their style or meet their needs. Custom cabinetmakers in Kohler, WI has the transformative power to create a practical yet personalized space unique to you by creating custom cabinets that have all the storage elements you need as well as the stylistic ones. Custom cabinets have the benefit of being designed specifically for you in terms of both appearance and usability. When it comes to stock cabinetry, you are limited to generic, cookie-cutter designs, dimensions and colors, which isn’t ideal for outfitting a uniquely shaped kitchen or for showcasing your personal style. Custom cabinets are solely crafted based on your specifications and needs, and while they are pricier than pre-made pieces, you’ll receive a higher level of craftsmanship and durability when you work with a professional on Houzz who specializes in custom cabinets in Kohler, WI. Create an ideabook on Houzz and save examples of the custom cabinets you want — this will help your Kohler custom cabinetmaker get on board with your vision and make your design a reality. Additionally, if you are undergoing a remodel, keep in mind that a blueprint needs to be finalized prior to any kind of cabinet building and installing; given the one-of-a-kind nature of a custom cabinet, room dimensions need to be completely finalized before any work can commence.